Prior to this week I had never heard of Las Tablas, a tiny little village nestled among scrub-covered mountains littered with rocks, lots of rocks. The rocks in this place are a reminder of how hard life is for those who live here. The rocks also made the process of drilling a water well a slow and difficult process. But, yesterday afternoon we broke through and found water, lots of water. It came gushing up and rained down a welcomed shower of refreshment and relief from the heat. 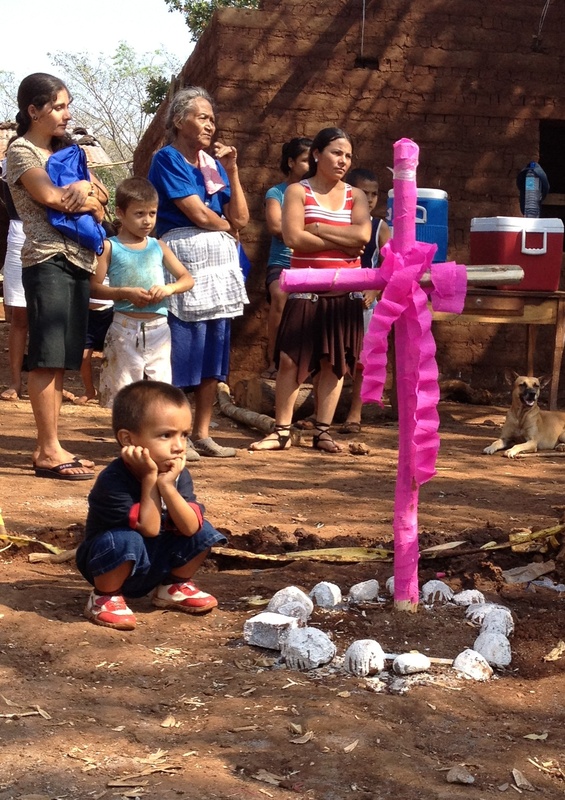 These were indeed showers of blessings and an answer to the prayers of those who call Las Tablas home. One woman approached me and expressed her heartfelt gratitude. I told her that it was the prayers of the folks here that had set things in motion. “I know,” she said, “but someone had to answer that prayer. I’m glad you listened to God and came to Las Tablas.” I’m glad, too. 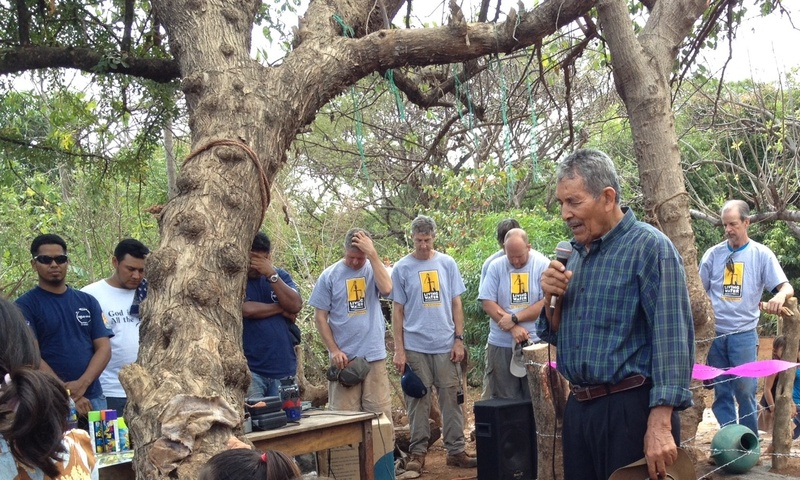 We all got up excited and ready to go this morning, knowing that today would be the day we completed the well. Today was definitely a fun day as we set the pump and did all of the things necessary to complete and dedicate the water well. After lunch, the people of Las Tablas began to make their way to the water well site for our dedication ceremony. Our team members shared their reflections of the week and the villagers expressed their gratitude. And then, Candelario, the man who had offered the very first prayer when we arrived, led us in a dedicatory prayer. Once again, his words were like a soothing balm to my ears. I felt as though I was eavesdropping on a conversation between friends. I thought it very appropriate that this man who is such a gracious and respected leader in Las Tablas led our first and last prayers in his village. There is no way to adequately describe what you sense on a day like this. To watch Candelario and the men put a protective fence around the well to keep the animals out and to listen to them talk about what they will do in the coming days to make the site even more secure and welcoming reveals how important this water well is to them. It is, after all, an answer to prayer and one that they do not take for granted. 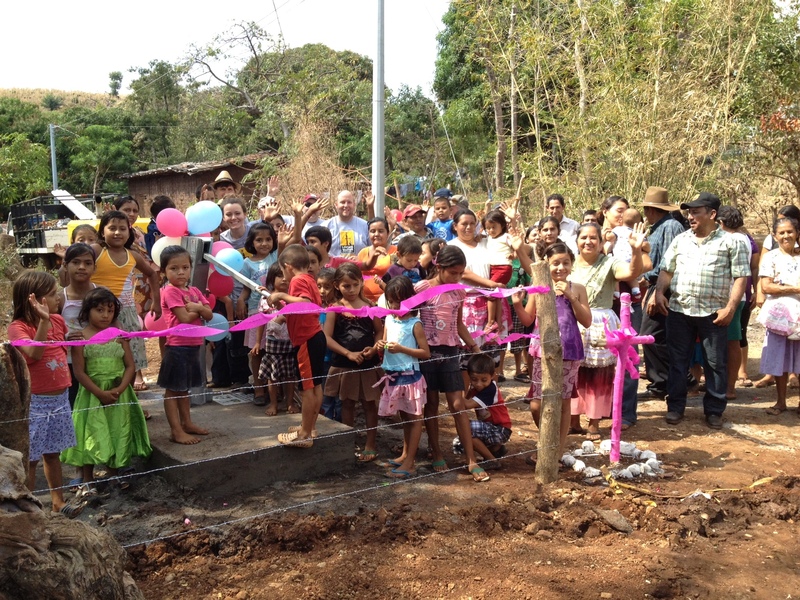 They understand how this single water well will change things for the people of Las Tablas. One theme was consistent among those present for the dedication — they promised that they would not forget to thank God for answering their prayers when they go to the well to fetch water. Our team will head home soon and we will return to our normal and very comfortable lives. I hope that we too will not forget to thank God for His showers of blessings, including convenient access to water. What a blesssing!!! I have been praying for the team. It looks like your trip was a huge success. Tell Eva I said hi and can’t wait to hear about the trip. Hi Leslie. I will give Eva your greetings. She has been a fun and hard working team member. So glad she came. Reminds me of my trip to Campalines last Sept., Well #366! It warmed my heart to partner with the people there to help provide clean, healthy water. I surprised myself of how much of the drilling I could participate in. Our team consisted of Lutheran’s, Baptists, and Church of Christ. Our well was built on the Pentecostal church property. We had great fun, joining together. Amen, Joyce. I really enjoy these trips with Living Water International. A huge blessing to folks in need of water and an immeasurable blessing in the hearts of team members. 6th Grade Summer Mission Trip planning meeting with our dear friends Pastor Elmo and Mary Johnson of Rose of Sharon Missionary Baptist Church in Houston’s Fourth Ward. Love our partnership. Kayla will lead our summer team of students. Proud of Chris for ordering Oxtails at This Is It Soul Food Restaurant.